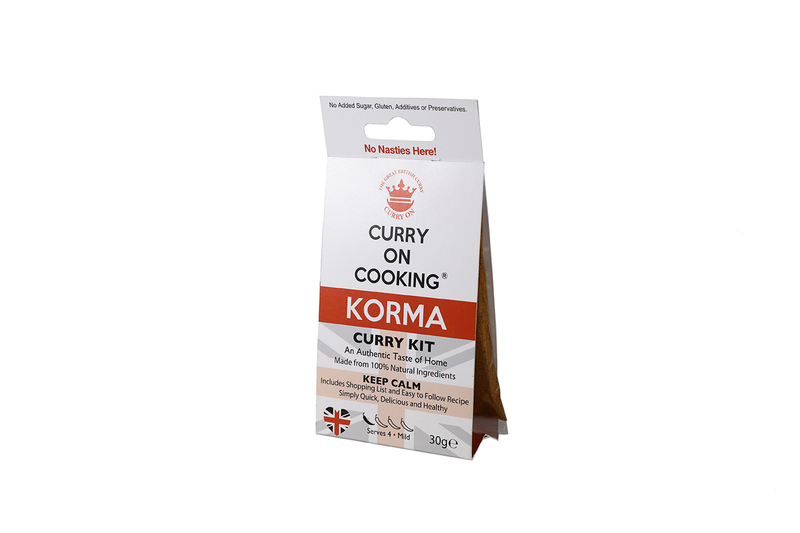 Korma is a creamy and fragrant curry full of flavour. (Not just for wimps!). it’s a Mughlai dish from North India and is typically made with cream and nuts which adds extra richness. Serve with Curry On Cooking Bombay Potatoes, Biryani Rice, quinoa or Indian bread. Korma likes to play it safe, a steady Eddie, who likes the good life. 9 reviews for Korma (mild) Keep Korma and Curry On! I have just made the Korma and it is SO flavoursome for a milder curry. Added a little chilli for a bit of a punchier dish. The ground almonds make it very smooth. The spice blend is wonderfully fragrant and the recipe was very easy to make and exactly the right consistency. Was bowled over. The leftovers will taste even better tomorrow. Lin in Sheffield. Me ha encantado! Lo he hecho con garbanzos y espinacas y están deliciosos. Sin duda volveré a comprar! Leftovers? What left overs? Totally yummy….highly recommended. Such an easy way to do it, and with the extra tips in the instructions to offer a bit of a change if you want to. Top product! This is such a gorgeous tasty korma. 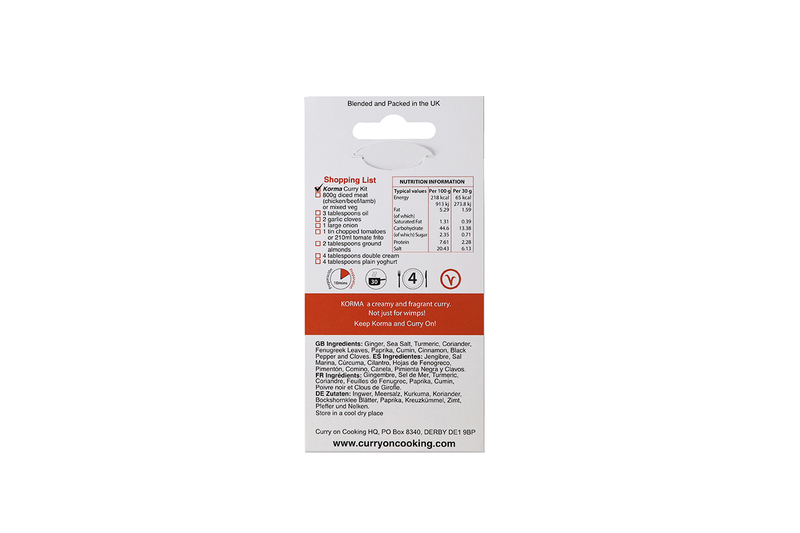 Easy to use, way better than a takeaway and just so simple . Since buying these kits I don’t tend to eat at Indian restaurants as often.. it tastes better at home. The korma is delicious and perfect, mild but with flavour. Never been a fan of curry, but am now 100% converted. This has a little bit of heat but bags of flavour amazing. Where have you girls been all my life! Have tried the Tikka Masala also and not disappointed. Now introducing friends to Curry on Cooking.